In the 1950s in the Soviet Union, there is no crime. At least that's what the government wants everyone to believe. But in truth, there's a serial killer on the loose, preying on children, brutally killing them and escaping blame as the government covers up the crimes so know one knows this could possibly happen in this country. In Child 44 , Tom Rob Smith has weaved a page-turning, psychological thriller about the search for a killer who is based loosely on a real killer ~ Andrei Chikatilo. We don't get to know the murderer very well throughout most of the novel. Smith follows the story through the eyes of Leo Dimidov, the government agent who is trying to uncover the truth of the murders. He creates a thriller that reminds me of Stieg Larsson's style, although this was a bit easier to follow. It's a fascinating look at the Soviet Union during Stalin's rule, when innocent citizens were arrested and killed for crimes against the government and crimes they never committed, all so the government could uphold the appearance of a perfect society. It was actually quite disturbing to think this is how it really was at that time. Child 44 is a great thriller, but it is a bit gruesome at times, so it's definitely not for everyone. If you liked Larsson's The Girl with the Dragon Tattoo, I'd definitely recommend it. 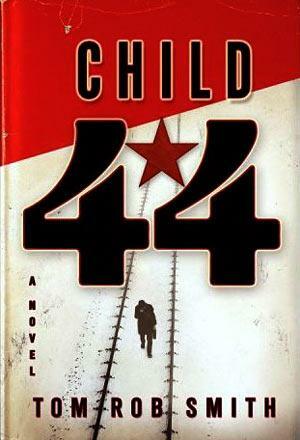 If that book was too graphic in terms of violence, you probably wouldn't enjoy Child 44. This is the first in a trilogy, and I'm definitely looking forward to reading the next one, The Secret Speech , which was published last year. This review was written based on an e-book copy of Child 44 that I purchased. I need to find time to read this one. By coincidence my husband has just read this but he did not think it was suitable for me, yet he has recommended I read the Larsson Trilogy! I was therefore very interested to read your comments!